"Captain Jack, is that you?" At least that's what the visitors of Old Town Alexandria, Virginia, will be asking when the tall ship "Providence" sails into town this July. 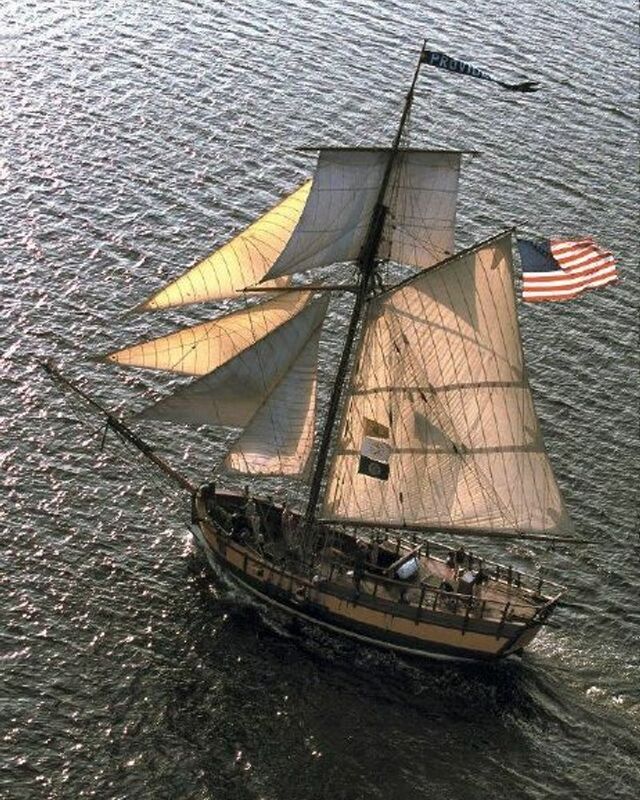 A replica of the 1770s Continental Navy warship, the ship appeared in the popular Pirates of the Caribbean movie. Remember when Jack and Will commandeer the "Interceptor" by first making everyone believe that they are taking the "Dauntless"? Remember the "Black Pearl"? Remember the tiny little boat that's sinking as Jack makes his way to port? Well, the "Providence" was one of the lucky vessels to grace the screen back in 2003. The ship was damaged in a 2015 storm, at which point it was taken from Rhode Island to Maine for restoration. So this little ship has traveled more than I have: all over New England, down to the Caribbean, back up to New England, and then down to Virginia for a summertime visit. "Providence" is modeled after a sloop captained by John Paul Jones, the father of the U.S. Navy, during the American Revolutionary War. While docked on King Street (beginning in July! ), the ship will be open to tourists to visit or take a cruise. It'll also be available for rentals so you can rent it for the day and re-enact all the Pirates scenes your heart desires. You'll even be able to drink like a pirate on one of their beer cruises hosted by Port City Brewing (drink up, me hearties, yo ho!). So if you don't have plans for the summer, revive your childhood dreams of piracy by paying "Providence" a little visit. Never a "ne'er do well cad"? Then go see her for a peek into our past. Known for the limelight, I'm sure she'll be happy to see you. Virginia has some pretty weird street names. Check out our favorites here! Head to Virginia's Our COmmunity Now homepage for more local news, events, and features that bring us all together!